Industrial locations require a more considered approach and often a deeper clean. 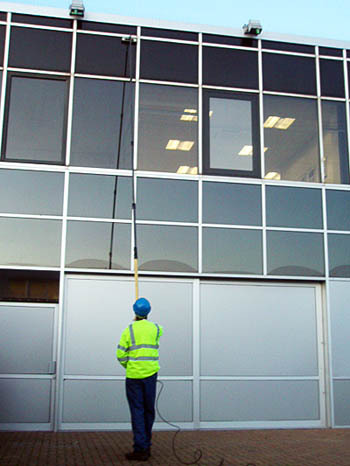 We understand this and that is why we pride ourselves on being one of the best industrial site window cleaning specialists in the area. Richie’s Windows offer high quality, professional level window, gutter and uPVC cleaning. With public liability insurance to £2,000,000 we are covered for all environments. Should they be required, Assessments and Method Statements can be given upon request as well as a copy of insurance certificates, for your peace of mind and the health and safety of all concerned. We will fit in around your business to interrupt as little as possible. We always aim to work in and establish professional, reliable and conscientious relationships. Contact me on 07817 197 216 or info@richieswindows.co.uk for more information or to request a no obligation cleaning quote.